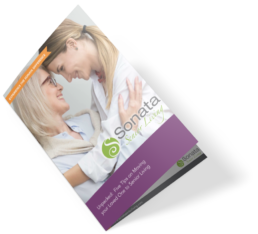 Lifestyle Options Sonata Offers Top Rated Senior Living Options. When it comes to relaxing and reducing stress, music is one of the most powerful tools available. 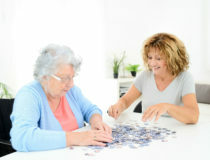 A major key to reducing anxiety, particularly in someone with a dementia like Alzheimer’s, is redirecting their attention away from stressful triggers. Music can transport our minds, evoke memories and literally block out distractions in the world around us. This can be helpful for anyone looking to manage stress, but especially in a loved one living with dementia. In people with dementia, music can serve as a distraction, allowing them to tune out triggers and be more comfortable in their surroundings. What type of music reduces stress and anxiety? 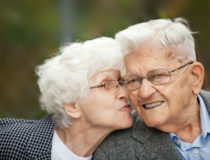 If you care for someone with dementia or Alzheimer’s, the best music to get them to relax is something slow and quiet. Classical music is great for this, but not everyone is a classical music fan — or if they are, that doesn’t necessarily mean they want to listen to it all the time. Slow ballads and soft acoustic tunes may be great options as well. And that can vary from person to person. According to the experts at Serenades by Sonata, a specialized memory care community in Florida, the default idea of playing music from the 1940s and 1950s is becoming outdated. Sometimes the best option isn’t even music at all. Recorded nature sounds such as rainforest noises, birds chirping or a babbling creek can be a relaxing way to unwind and manage anxious episodes. 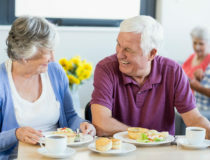 Encouraging independence is key when it comes to caring for someone with a dementia like Alzheimer’s — that includes everything from mealtime to music listening. Create an environment where your loved one has easy access to on-demand music to manage their stress. At Serenades by Sonata, soft music is always playing in the background and residents have access to SIMPL™Music Players. These special devices, created especially for those with dementia and Alzheimer’s, are easy to operate: you simply lift the lid to begin playing music. There are no knobs to turn or tiny buttons to adjust, and it comes preloaded with music or you can add your own MP3 files. In addition to music playing through speakers, personal headphones are a great option for managing stressful situations in those with dementia since they can block out triggers and “cancel” ambient noise. Over-the-ear headphones are recommended, as opposed to ear buds, since they tend to be more comfortable and better isolate noise. Plus, wireless headphones eliminate the temptation for your loved one to tangle and unplug cords that may get in the way. Use common sense when adjusting music volume for someone with dementia. Background music intended to relax should be soft and calming, not overwhelming. Look for any behaviors from your loved one that may indicate they find the music too loud, and take note of the ideal volume setting for them. 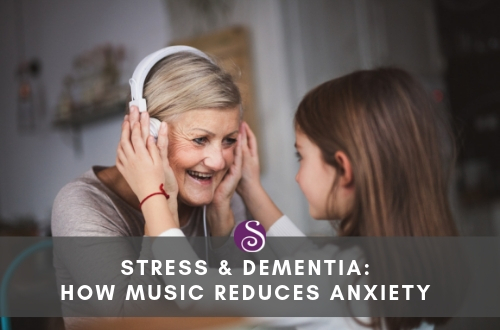 Regardless of the setting, music is a powerful tool for managing stress in both people with dementia and their caregivers. Take advantage of its benefits! There’s no place like home, right? For many seniors, this is absolutely the case. Even when you know — and they know themselves — that the time has come to move to senior living. But that doesn’t make it any easier to leave.